Lumps and Bumps may affect skin of all colours and ages. 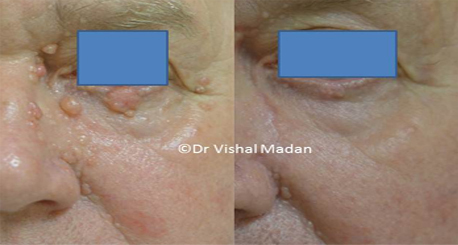 First principle of treatment is to establish that the lump is benign. A diagnosis is important before the lump is removed. This diagnosis can be made on clinical examination, small biopsy or by excision (complete removal) of the lump. A scar is inevitable but an experienced and trained surgeon can use their skills in minimizing the scar significantly.